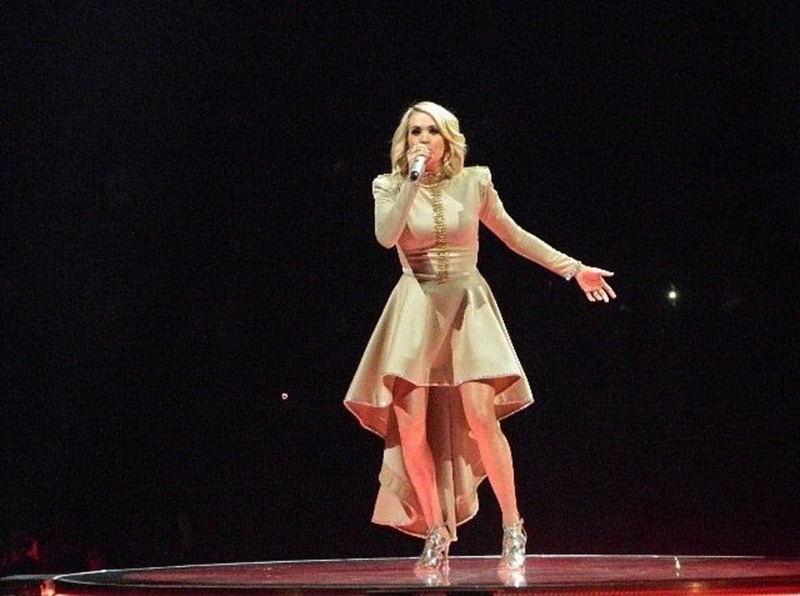 Carrie Underwood has announced that she will performing the world television premiere of her forthcoming single during the 53rd Academy Of Country Music Awards. She joined an already star-packed roster of performers for the awards show which will be televised live on CBS beginning at 8:00 PM ET/PT from the MGM Grand Garden Arena in Las Vegas this Sunday, April 15th. Other performers include Lauren Alaina, Jason Aldean, Kelsea Ballerini, Dierks Bentley, Kane Brown, Luke Bryan, Kenny Chesney, Kelly Clarkson, Florida Georgia Line, Alan Jackson, Lady Antebellum, Miranda Lambert, Little Big Town, Midland, Maren Morris, Jon Pardi, Bebe Rexha, Thomas Rhett, Blake Shelton, Keith Urban and Brett Young.